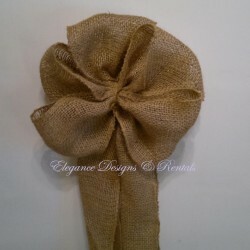 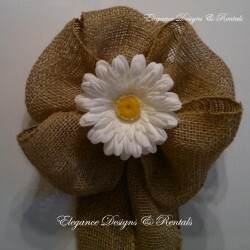 Burlap Wedding Bows are 10″ wide with two 18″ burlap tails and two 24″ jute attachment tails. 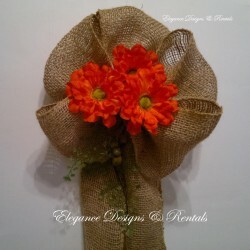 Bows are available with or without a floral or decorative center attachment. 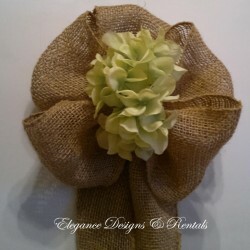 Below are just a few examples of available bows. 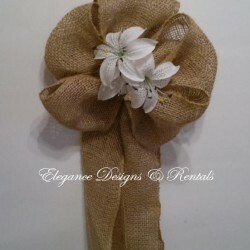 We can customize bows per customer specifications.